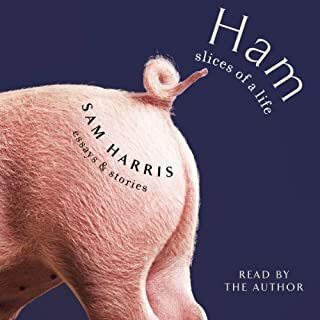 Where does Ham: Slices of a Life rank among all the audiobooks you’ve listened to so far? What other book might you compare Ham: Slices of a Life to and why? 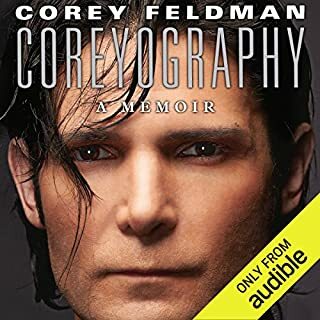 Tough to say, in that is autobiographical, but not a linear memoir (it's a collection of stories and experiences that are related, but don't flow in order). Once you get the hang of it though, it's very good. IUt's not all fun and games though - there are tough subjects discussed (which are handled honestly and very well). Give this one a try - it's an unusual arrangement, but made me think and reflect on things. Rosie Perez first caught our attention with her fierce dance in the title sequence of Do the Right Thing and has since defined herself as a funny and talented actress who broke boundaries for Latinas in the film industry. What most people would be surprised to learn is that the woman with the big, effervescent personality has a secret straight out of a Dickens novel. At the age of three, Rosie’s life was turned upside down when her mentally ill mother tore her away from the only family she knew and placed her in a Catholic children’s home in New York’s Westchester County. Almost like seeing a play in person - FANTASTIC!! 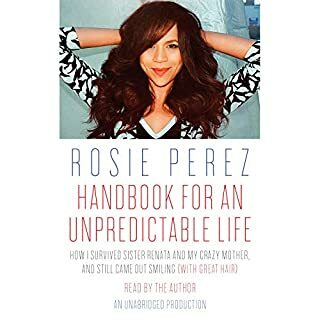 Where does Handbook for an Unpredictable Life rank among all the audiobooks you’ve listened to so far? What was one of the most memorable moments of Handbook for an Unpredictable Life? What does Rosie Perez bring to the story that you wouldn’t experience if you just read the book? Wow, what a great book and stunning performance by Rosie. 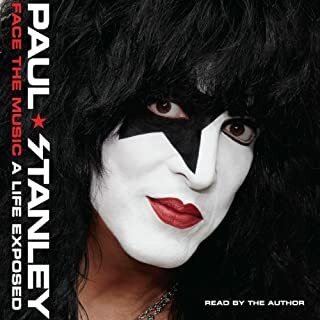 If you like autobiographies as much as I do (especially those read by the author), definitely buy this one! For those who only think of Shirley Jones as the prim and proper Marion the librarian or the chaste and demure Mrs. Partridge, a massive surprise is in store. In this hilarious and heartwarming, shocking and intimate memoir, Shirley dishes the raw truth about her own highly charged sexuality, her two husbands - the charismatic and deeply troubled Broadway star Jack Cassidy and the wacky TV comic Marty Ingels - her legendary Hollywood costars, and her interactions with the cast of The Partridge Family, including her rock star stepson David Cassidy. No, this is her life and she recounts it as she saw fit. At times, it sounded like she was a little "sick of it all," (kind of sighing at the beginning of each chapter), but hey, that's how life is and we all feel that way at times. There are a lot of other reviews that focus on the more "racy" parts of her life, but I was not put off my it at all. I appreciated her candor, honesty, and willingness to share that part of herself. 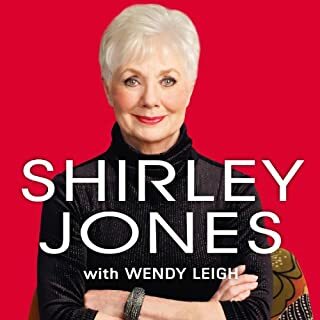 Do you think Shirley Jones needs a follow-up book? Why or why not? No, this is good as is. What did you love best about Spelling It Like It Is? That Tori wrote and read it herself. Boy, you have to admit that she has one crazy life, but it's admirable that she shares it so openly with all of us. 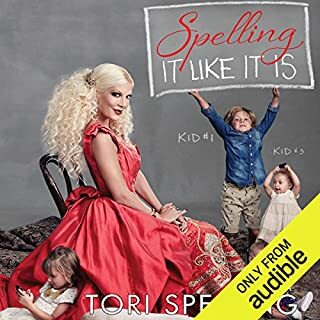 What does Tori Spelling bring to the story that you wouldn’t experience if you just read the book? Good book overall. It took a little while for me to really get into it, but I enjoyed her story and narration. I had no idea about all the medical issues she has encountered - yikes! There are a few really funny parts that literally cracked me up (as I listened on a flight), which made it fun too. For twenty years, James Carville and Mary Matalin have held the mantle of the nation's most politically opposed, ideologically mismatched, and intensely opinionated couple. 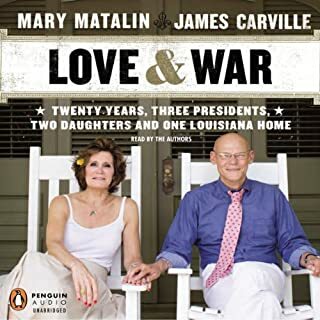 In this follow-up to their groundbreaking All's Fair: Love, War, and Running for President, Carville and Matalin take a look at how they - and America - have changed in the last two decades. If nothing else, this new collaboration proves that after twenty years of marriage they can still manage to agree on a few things. Would you listen to Love & War again? Why? No, once was enough (and I really liked it), but got all I needed after 1 listen. What was one of the most memorable moments of Love & War? Have you listened to any of James Carville and Mary Matalin ’s other performances before? How does this one compare? Really fast listen and fun! What did you love best about Bedsit Disco Queen? That it wasn't a gossip-fest or tell-all, but a genuine description of what it was like for her to become a musician. If you like books like this, a GREAT one is Ann & Nancy Wilson's book - give it a try! 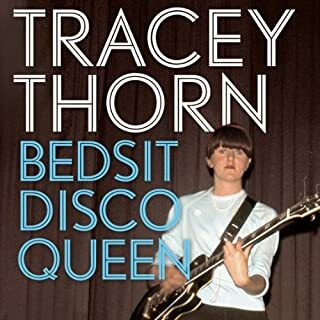 Have you listened to any of Tracey Thorn’s other performances before? How does this one compare? Great audio performance, spotty story though . . . Which character – as performed by Stefanie Powers – was your favorite? 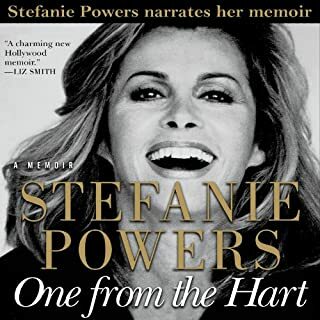 Do you think One from the Hart needs a follow-up book? Why or why not? Only halfway through, but lots of fun! What did you love best about Ava Gardner: The Secret Conversations? William Hope's narration is fantastic - so much fun to listen to and I love how he speaks for Ava - very campy (in the best, most flattering way) - cracks me up! 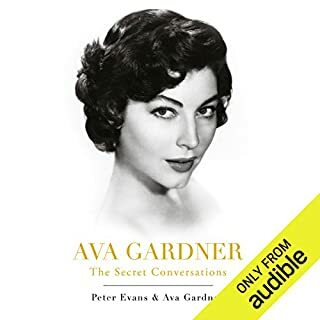 What other book might you compare Ava Gardner: The Secret Conversations to and why? Wow, tough to say, since it is written from the writer's perspective (which is unusual). Having lots of fun listening to this. The audio quality is excellent too - give it a try!